MANILA, Philippines — Sen. Francis “Chiz” Escudero on Thursday claimed to possess documents that would supposedly show that some back-up security digital cards used in the 2016 national and local elections were not replicas of the original cards. “Actually, we have in our possession print outs, but it will be better if the witness will state that the back-up drive was not a mirror image of the main drive,” Escudero said Filipino in an interview with reporters. “If it is not an accurate picture or carbon copy of the main drive, the results [of the election] will change to a certain degree,” the senator added. Escudero lost to Vice President Leni Robredo in the 2016 national elections. The vice president is currently facing an electoral protest lodged by former Sen. Ferdinand “Bongbong” Marcos, the son of the late President Ferdinand Marcos. Escudero, however, could not ascertain yet the extent of the possible changes and stressed that this technical issue should not even be an issue in the first place. “If this is the case, it means that it’s not accurate, and the question on manipulation would depend on the number of back-up cards used,” he said. Advertisement Escudero, however, could not ascertain yet the extent of the possible changes and stressed that this technical issue should not even be an issue in the first place. 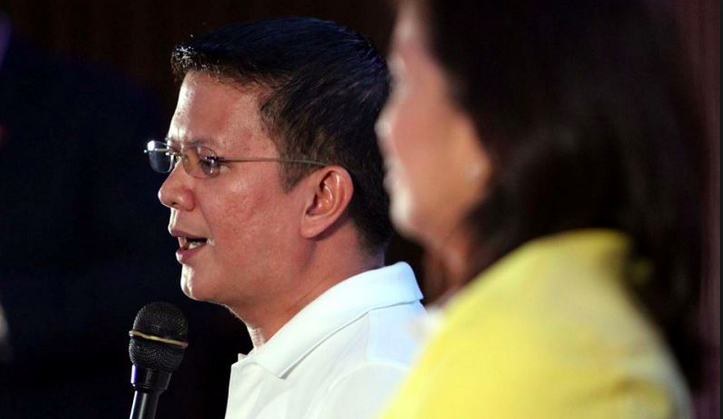 Escudero said that the witness was an official of the Commission on Elections who approached him late last year. He, however, emphasized that he would not allow the hearings of the Joint Congressional Oversight Committee on the Automated Election System to be used to benefit any candidate. He said that the joint committee’s hearings were meant to prevent a repeat of the mistakes in 2016 during the midterm elections in 2019. “He gave me photocopies. I presumed authentic documents are with him. That's why I don't want speak in details about it until unless he himself presents it,” Escudero said when asked if he was in possession of the original documents. Marcos is contesting the results of the vice presidential elections after he lost to Robredo by more than 260,000 votes. He has chosen three provinces, including Robredo’s home province of Camarines Sur, as his pilot areas where a recount would be conducted by the Supreme Court sitting as the Presidential Electoral Tribunal.